Thank you so much to Kelly from Kelly’s Ramblings for tagging me in the ‘Mid Year Book Freak Out Tag’ (I know, it’s not the middle of the year, but shush!) I’ll share MG and YA books, if I can think of one each! YA: The Scarecrow Queen – this rounds off the trilogy so perfectly. I was absolutely blown away by Twylla’s journey in this book and I just can’t praise this book enough! MG: A Place Called Perfect – this book was the perfect amount of spooky, adventures and sheer brilliance. It captured my imagination brilliantly. MG: Simply the Quest – I loved Who Let The Gods Out? so so much and when I finally got my hands on STQ I was just as in love with it! I love this series so much… again 2018 is too far away! MG: The Nowhere Emporium – luckily we have this in the library at school so I will be borrowing it and will read it! YA: It Only Happens In The Movies – I am a massive Holly Bourne fan and from the sampler I think this is only going to be incredible! Bring on October! MG: The Polar Bear Explorers’ Club – I’ve seen this on a few twitter friends’ pages and they’re all very excited about it… I am v jealous they have it already! 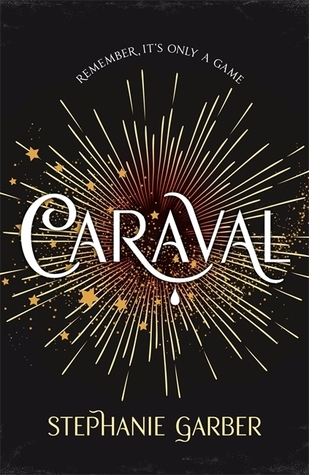 YA: Caraval – I had such high hopes for this book and I just didn’t love it. It was fine, it was alrite. Go read it for yourself to see what it’s all about. I know A LOT of people who loved it though. YA: After The Fire – absolutely incredible. I loved this so much. I strongly suggest you all go and read this NOW. It is SO good. MG: The Last Wild – I had seen this everywhere and never picked it up and when I did I was blown away by how much I loved it. Peadar O’Guilin is EXCEPTIONAL. 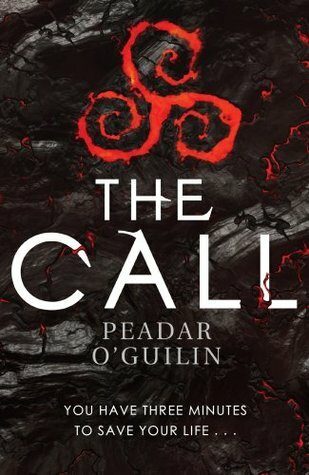 I have read The Call and I was lucky enough to get a proof of the second book (The Invasion) and I just adore his writing. If you’re looking for an exceptional dystopian… look no further! YA: Ink – Leora is one of those brilliant characters who you come across every now and again who makes an impact. I can’t wait to find out where her story takes us next! MG: The Explorer – there are so many things I loved about this book but the man they meet in the jungle is again one of those exceptional characters from stories that stay with you for a long time. I would love to know more about him. Countless is one of the most heartbreaking books I’ve read. It is absolutely breathtakingly beautiful. I cried SO SO SO hard at the end. I can’t think about this book without it making me sad. Please go read it, but get yourself some tissues. YA: Unconventional – one of those gorgeous books that comes along and just makes me smile. I loved it a lot. It was such a feel good book! MG: Bookshop Girl – this is one of my favourites this year! I can’t wait to use it with my kids! Just such a brilliant little happy book. YA: A Quiet Kind of Thunder – I have so so so many brilliant words to say about this book. You need to get on it if you haven’t yet. Sara is such a brilliant author and Steffi’s story is just incredible. This book inspired me a lot. MG: The Island at the End of Everything – Kiran Milwood Hargrave writes these exceptional books (her other one The Girl of Ink and Stars deserves ALL OF THE PRAISE it gets) and this one just knocked my socks off. I absolutely adored it. Such an incredible story. So there we have it! My (no so) mid year book freak out tag! That was quite the blog post! Let me know your choices and link me to your blog posts, I’d love to see your answers! Not surprised to see Queen Mel on your list. I’ve not read THUG yet either – I thought I was the only one.